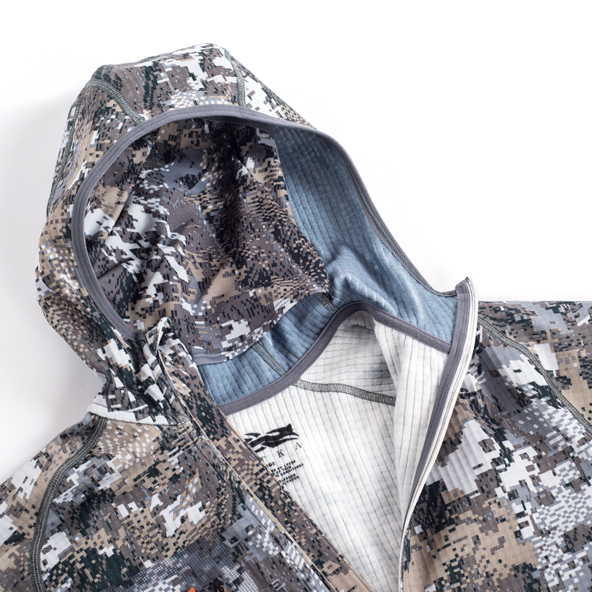 With the Sitka Fanatic Hoody, we took the chassis of a traditional hooded sweatshirt and turned it into a stealth hunting apparatus. 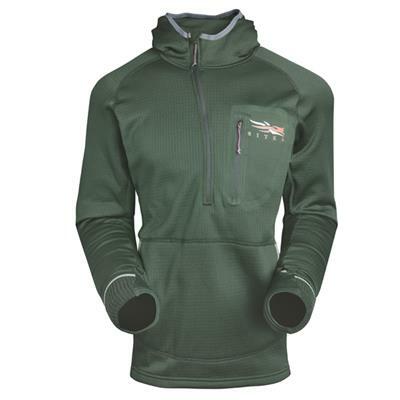 Body mapped grid and micro grid fleeces precisely regulate your temperature while keeping scent to a minimum with Polygiene® Odor Control Technology. 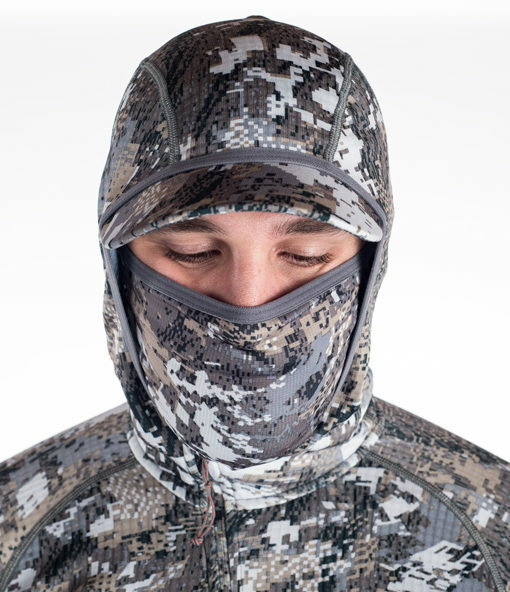 The hood is cut for maximal peripheral vision, and from within it you can deploy the built-in facemask for enhanced concealment. 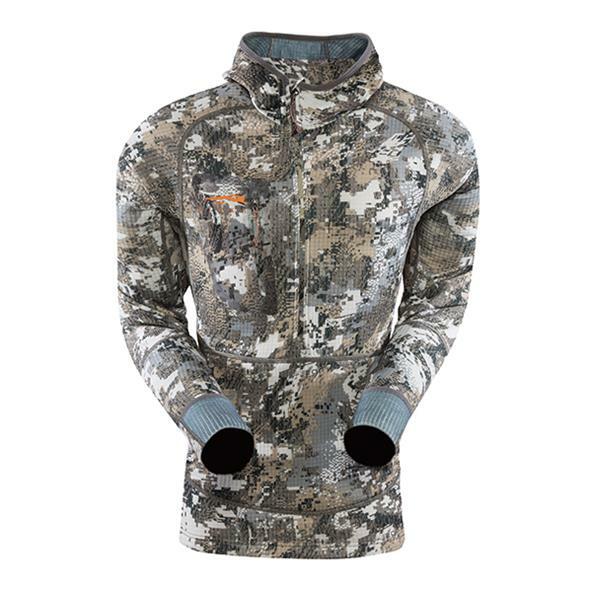 The half-zip construction allows for a built in hand muff, which, together with the flip-over hand mitts in the sleeves, works to keep your fingers warm and dexterous. 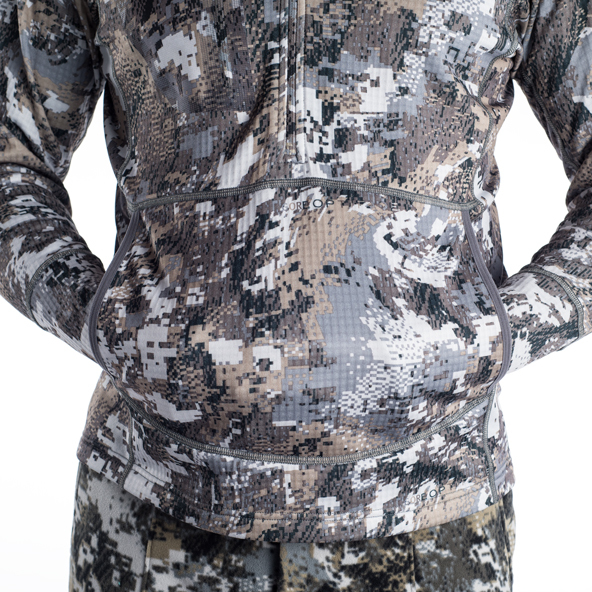 The Sitka Fanatic Hoody is a highly technical insulator built for stealth. 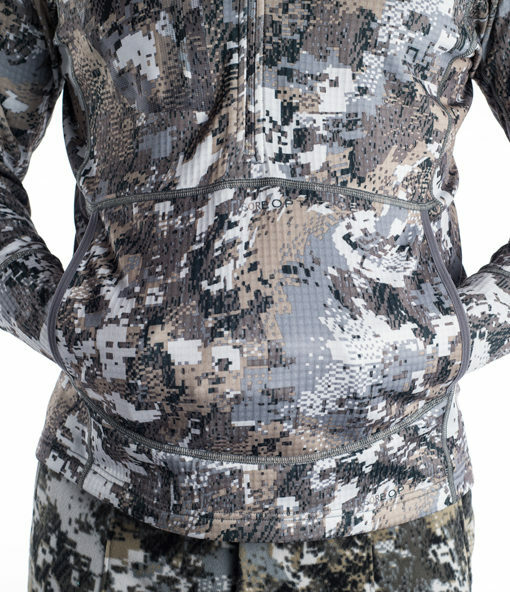 The micro-grid fleece construction is body mapped to precisely regulate your temperature, so you can use it as an outer layer on milder days, or as a mid layer when temperatures drop. 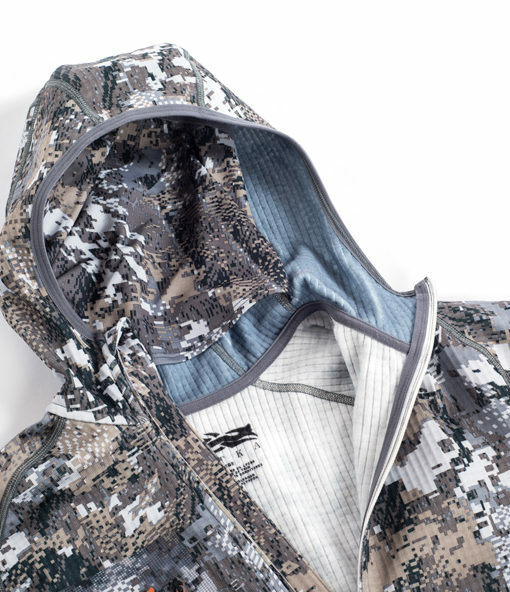 The entire piece is treated with permanent Polygeine Odor Control Technology to knock down scent, while both faces of the fabric are soft and ultra quiet. 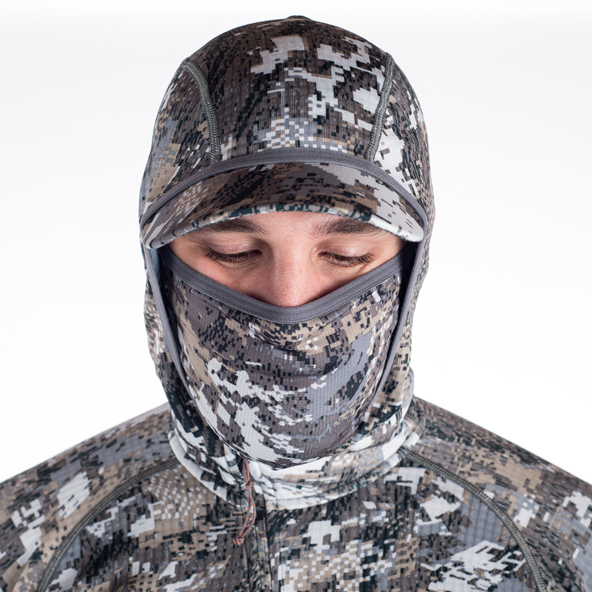 For visual concealment, pull on the form-fitting hood, cut to maximize peripheral vision, and deploy from within it the integrated Optifade facemask.  The athletic cut and articulated patterning allow you to move without obstruction or bunching, and the form-fitting forearms keep from the path of your bowstring. 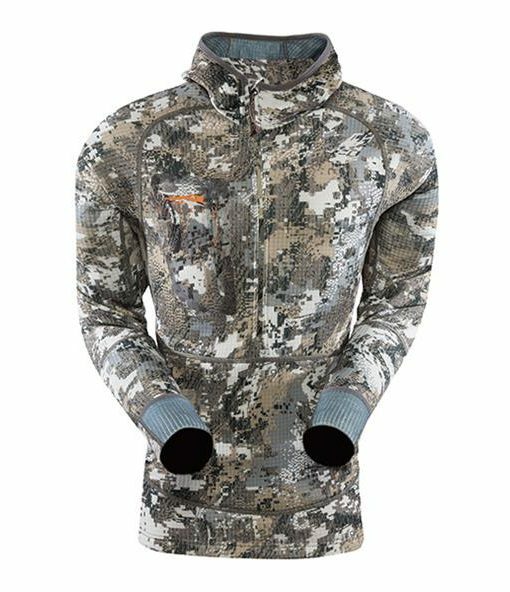 A half-zip construction makes space for the built-in hand muff, which, together with flip-over hand mitts in the sleeves, works to keep your fingers warm and dexterous. 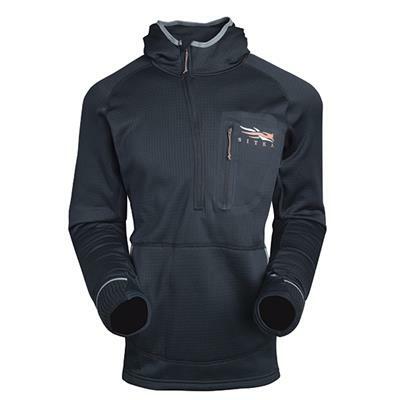 A single zippered chest pocket keeps the essentials close.